The Cedar Rapids Metro Economic Alliance is focused on the growth of our region.We work with our members to prioritize needs and implement strategies that make local businesses, communities and our region successful. We advocate for economic growth policies on the local, state and federal levels. We collaborate with our over 1,200-member companies, our governance leadership, local municipalities and other strategic partners to define our Public Policy Principles that guide our yearly agendas. These Principles support our efforts to address workforce challenges, promote economic growth, support businesses of all sizes and types and promote robust and welcoming communities. The Economic Alliance is a non-partisan organization that does not endorse or donate to political candidates. We support First Amendment rights for all people and encourage elected officials, candidates and citizens to be civil in discussions and debates on policy issues and political opinions. We are committed to leading by example. Workforce policies that connect local workforce strategies with economic development strategies. Education policies and programs that promote career readiness skills, high academic standards that better align with the workforce needs of tomorrow. Policies that encourage attracting, training, and retaining a diverse and inclusive workforce with respect and fairness for all. Assessment tools that align with the career-readiness curriculum being taught in our schools. Policies that support a strong public-school system and meet higher education standards determined by educators and parents to better prepare the future workforce. Preserving programs developed by our local community colleges and utilized by our employers for the continuation of training and development of skilled workers. 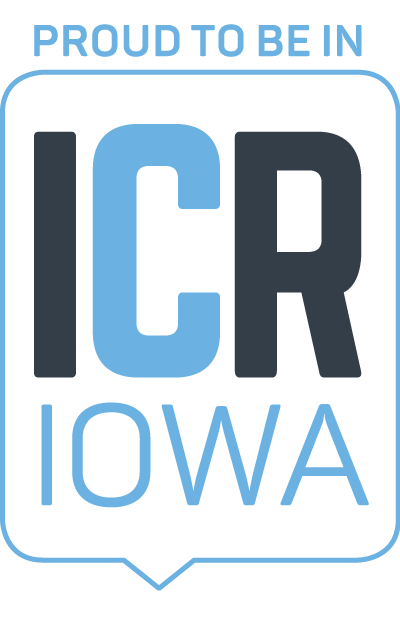 Immigration reform that empowers employers more access to skilled workers, grows Iowa’s population, promotes job creation and economic growth, encourages global competition and includes a sensible legal framework with enforceable workforce guidelines. Tax systems that promote economic growth and investment in Iowa. The long-term investment of businesses by providing predictability through permanent industry tax credits. Tax incentive programs that are competitive and encourage local business to grow and new businesses to locate to Iowa. Preserving local economic development tools that assist in the expansion, recruitment and retention of businesses. Corridor cities supporting individual city development and promote overall growth of the region. Efforts that encourage entrepreneurial efforts and promote greater participation by Iowa investors in entrepreneurial programs. Proposals that support, broaden and increase the availability of employee profit-sharing benefit plans. Maintaining Iowa’s Right‐to‐Work status and limit worker’s compensation claim abuse. Local government’s flexibility to utilize Iowa labor and products for projects to ensure the efficient use of taxpayer dollars. Iowa’s commitment to fund cities for losses due to commercial property tax reform to ensure the burden doesn’t fall back on property owners. A health care system encourages sustainability, flexibility and affordability and builds upon the successes in the private sector. Restrained spending and budget processes that ensures certainty to the business communities most affected by government inefficiencies. The investment of federal dollars in research and development grants to ensure Iowa benefits from research dollars and programs. A modern, balanced, simplified and transparent regulatory system that gives businesses the confidence they need to hire, invest and innovate and alleviates the overwhelming and unclear regulations for businesses. Federal trade policy that promotes U.S. markets abroad and generates economic growth and job creation at home, including a fully functioning U.S. Export-Import Bank. Policies, rules and regulations that encourage the production of renewable and alternative energy resources such as ethanol, nuclear, solar and wind that are environmentally responsible and keep energy costs down. Local, state and federal efforts to build and invest in a flood management projects and initiatives. A sustainable and fiscally responsible federal flood insurance program that protects the businesses and homeowners who built according to code and have followed all applicable laws. Funding for quality of place improvement efforts, such as the development of core central districts, greenway space, biking and walking trails and other public attraction amenities, that appeal to existing and new employees. Long-term funding solutions for infrastructure investment that keeps up with the needs of roads, bridges, highways, rail, aviation, broadband and transit projects.